2. Drill mode for wood and metal drilling. 3. 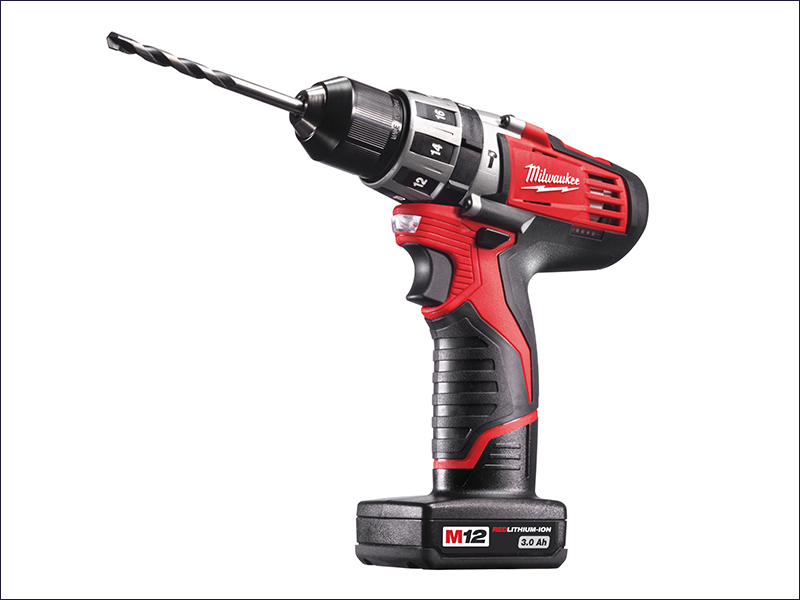 Hammer drill mode for masonry and concrete drilling. The C12 PD has a 10mm single sleeve chuck, enabling quick change of a complete range of accessories. 18 stage torque adjustment allows a wider range of applications and flexibility. REDLINK™ overload electronics in both the tool and the battery pack deliver excellent system durability. A built-in LED light illuminates the workspace, whilst a fuel gauge displays the remaining battery charge state. For comfort the C12 PD it has a slimline soft-grip handle. It is compact and lightweight for longer, fatigue-free use. Supplied with 2 x 3.0Ah Li-Ion batteries, charger and kitbox.